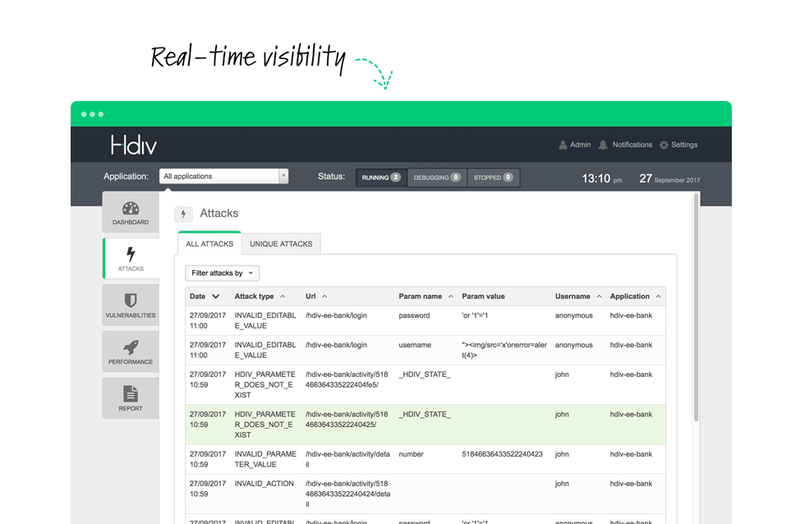 Hdiv RASP enables applications to protect themselves during runtime. 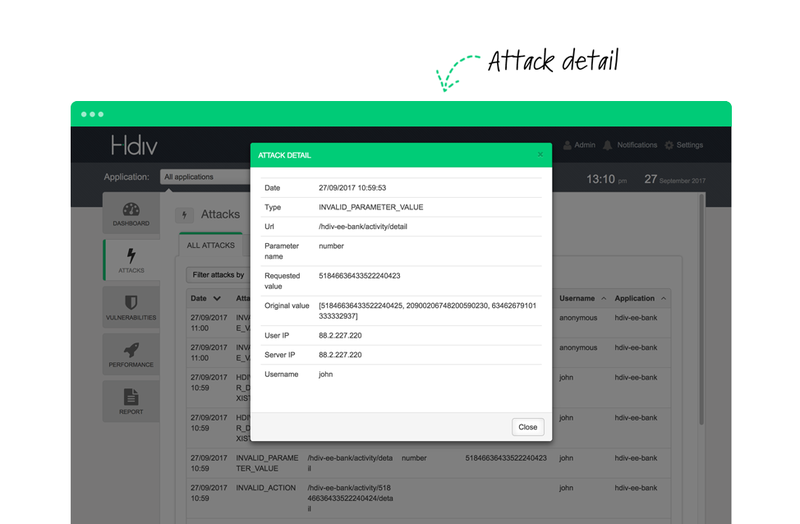 By building protection in during development, Hdiv RASP protects applications from the inside, keeping them secure wherever they go. Each problem requires its own particular solution. 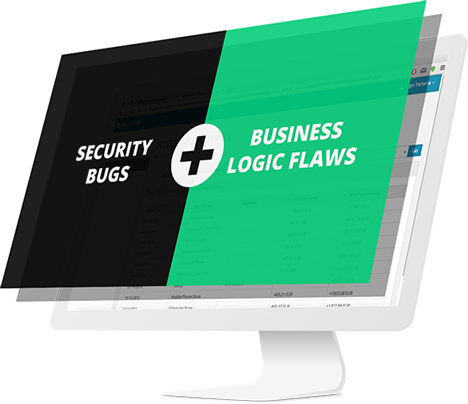 Hdiv combines IAST capabilities for security bugs protection and real-time whitelist validation to protect from business logic flaws attacks. Integrated in the SDLC and with no learning processes or tuning in the production environment. Hdiv simplifies the operation and deployment of all applications including web applications, APIs or microservices. 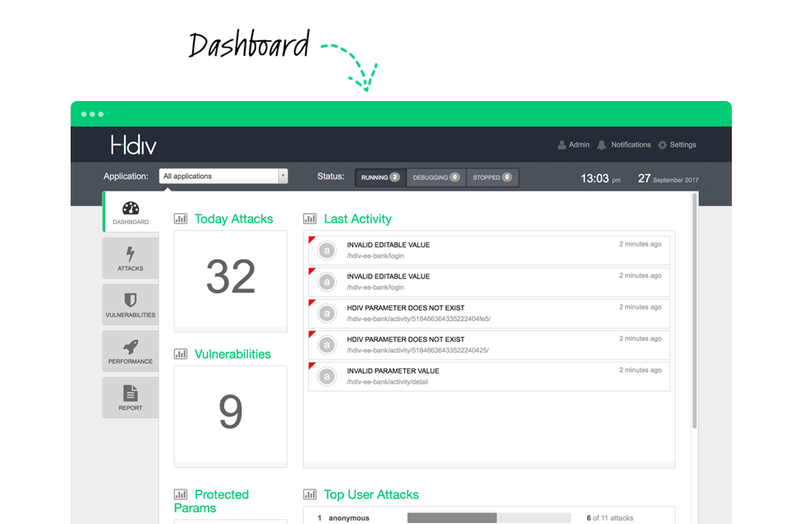 Hdiv RASP helps to implement compliance requirements, such as PCI and GDPR. All requirements are applied with no need to modify applications.